I was on twitter the other day and someone mentioned to me that Rite Aid carried a brand called Jesse's girl. I have to admit I rarely go to Rite Aid so I had no clue what they were talking about. Not that I don't like Rite Aid, I just hardly ever pass by one that I really don't think twice about even stopping there. Last weekend it was pretty crappy and there wasn't much I could do because the weather was yuck, and my plans were ruined due to the fabulous Mother Nature. Therefore, I figured I'd get some errands done. As I walked into Rite Aid the first thing I seen as I walked in were a bunch of displays that they were placing together featuring a few new fall collections and Jesse's girl happened to be one of them. 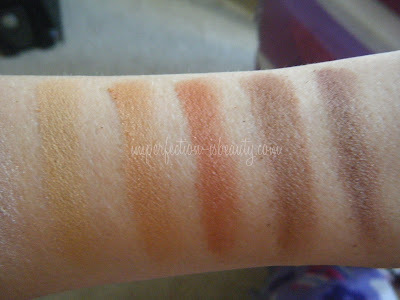 As I was browsing though the products that I thought were worth while I came across this gorgeous fall colored palette. Immediately I had to get it. I did look over the other palettes but needless to say I didn't really care for the other two, maybe if I seen what they look like on a blog, I might consider it especially because how pleased I was with this palette and for the price honestly I couldn't complain. This palette is suppose to be for "the brown eyed girl" (hense that's what the name of it is) However this one was the one that really stood out to me. 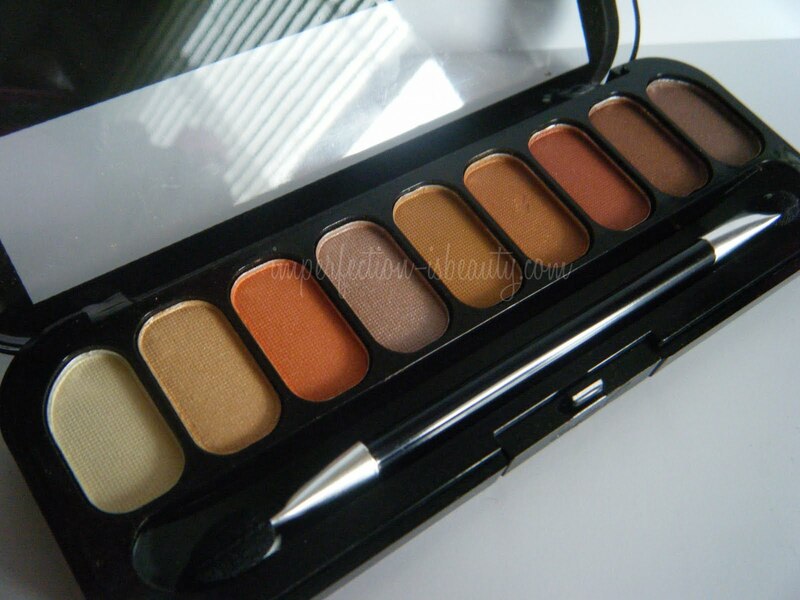 To be honest I think this palette could be used for any eye color, because the colors are so warm and neutral that they would look good on just about anybody when applied right. For starters each color has a little bit of sheen to them so if your the type that isn't a fan of sheer, or having an all shimmer eye then your probably not going to like this. Me on the other hand I really enjoy shimmer eye shadows so this was perfect for me. 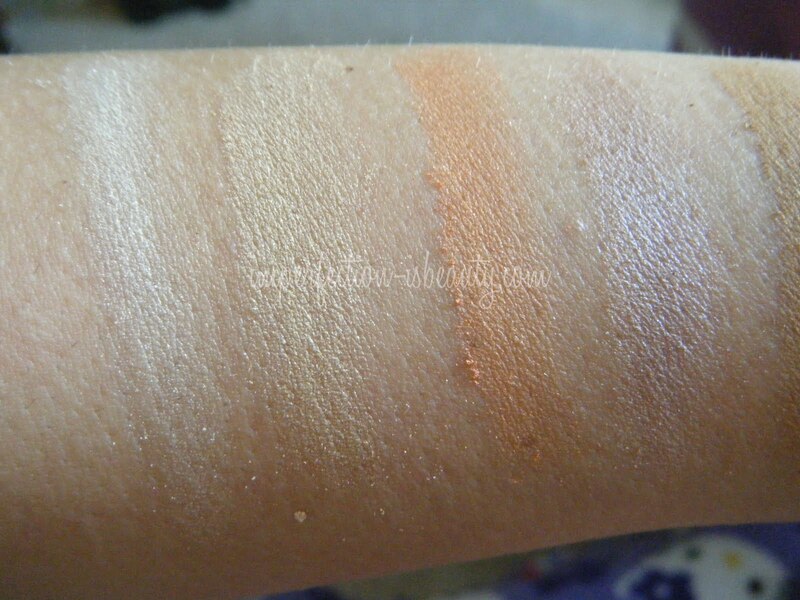 As you can see each color is very pigmented, the first two were a little on the lighter side but when you apply them and actually see them on your eyes they are both really pretty. All the colors are very soft, and have a silky feel. 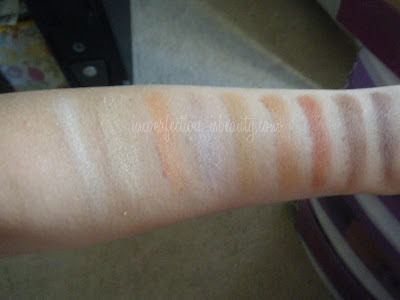 There not very grainy, and they blend very easily. I did not use a eye shadow primer in these pictures however you could really get these colors to pop even more if applied with a primer,or even applied wet. Overall the quality is amazing, and I've been wearing this since 8am this morning and still it looks exactly as it did this morning, so I'm safe to say it has lasted me all day. For the price you really can't beat it.I picked this sucker up for only $3.99. 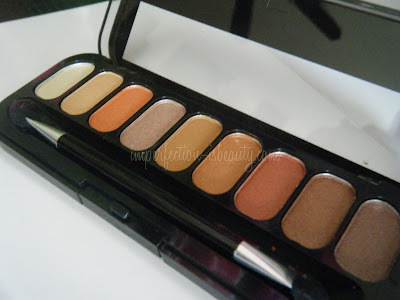 This palette comes with 9 beautiful pigmented colors. I will be checking out more of Jesse's girl products in the near future. I ended up using four of the colors in the palette today. The first whiteish color in the palette I used in my inner corner and under my waterline halfway, then I applied the second flesh tone color on my whole entire lid, after I applied the second to last dark brown color in my v and then blended it all together. Do you own Jesse's girl products? What do you think? Come to visit mine too! set point, can substantially streamline any p - H adjustment process. Ѵery good blog! Do you have anyy ɦints for aspiring ԝriters? I'm planning to start my own website soo but I'm a little lost on everything. 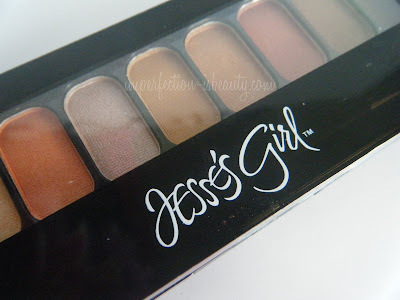 Thanks for finally writing about > "Jesse's Girl eyeshadow palette review" < Liked it! Most likely you didn't know that it's not always a bad idea to snack late at night. All this by learning the way to consume the proper foods for weight loss merged with a small physical exercise. re using your body-weight as the resistance, rather than the dumbbells, barbells, or machines. You can have your paperwork and functions do the job successfully and more arranged. What you drink and we actually interestingly in this activity we were did it around sweet drink yeah because it you know because in addition to so does their ‘there’s also energy drinks and I'm sleepy if you're from Texas this us uses um are all playing into June overconsumption I'll what will we often called her empty calories and sugar.